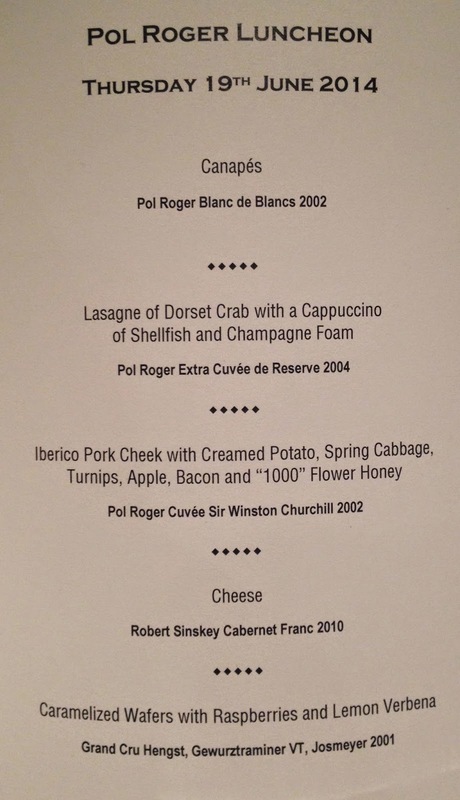 Last Thursday I was very lucky to get the invite from Pol Roger UK to attend a lunch for the launch of Cuvee Sir Winston Churchill 2002 at The Square. The whole meal – menu below – worked brilliantly from the, predictably, superb food to the wines, company and beyond. The wines started with Pol Roger Blanc de Blancs 2002, a wine in a lovely place right now, generous rounded fruit but in no way too bold or too round. Biscuity but not biscuits with lots of butter in them…elegant. If you own it then drink some soon, I have no doubt it will age very well but is too good now to be missed. 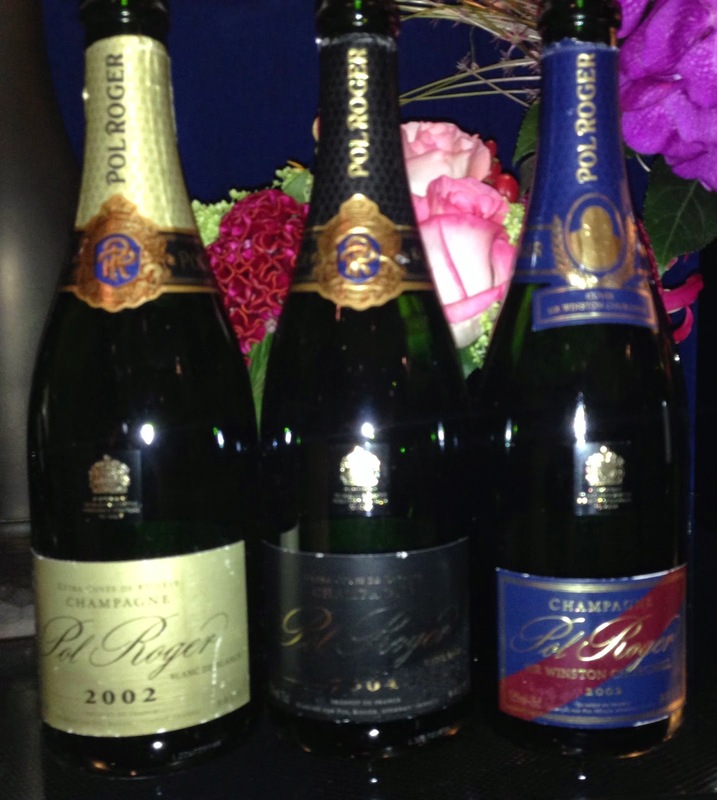 Pol Roger Extra Cuvee de Reserve 2004 followed on and as you would expect showed a little more youth and focus. There was a lovely element of white flowers, I put in my notes that it would be best in 2-3 years. It opened out nicely in glass which is always such a good sign. 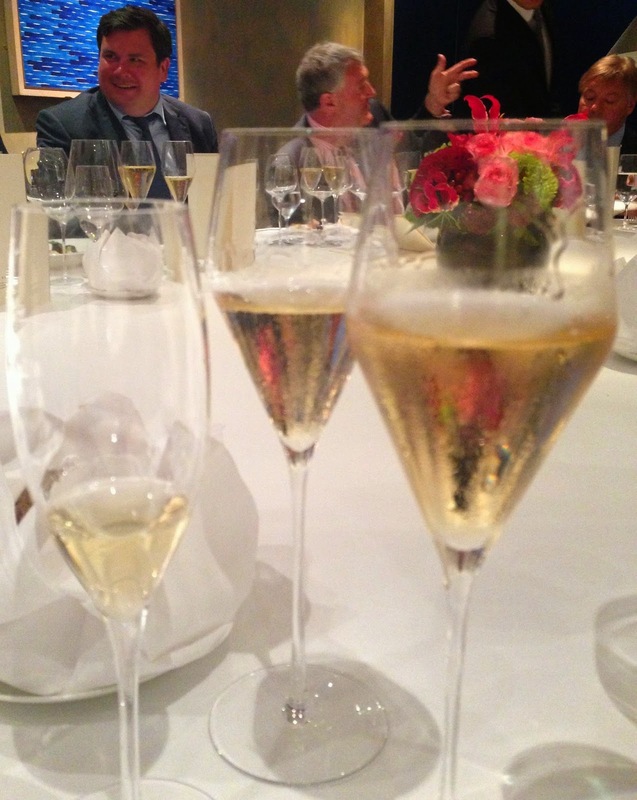 Next up was the main “man” – Pol Roger Cuvee Sir Winston Churchill 2002. My experience with this great Cuvee is limited to a couple of small tastings but I have always liked the way it tends to combine minerality with richness. We were given some very good background to the Cuvee. It was first made in the 1975 vintage (note to self to find a way to try this – my birth year!) to commemorate the death of Sir Winston 10 years earlier. Essentially Pol Roger had been thinking of creating a “Prestige Cuvee” for some time and this seemed to tie in perfectly. The style – the cepage and production is kept a secret – is very much as Sir Winston would have wanted. He drank his Champagne from a tankard with at least 20 years of bottle age and a great deal of what he will have drunk would have been from the legendaryl 1928 vintage. So how does this – the 14th Vintage – taste? It is a big wine, more in depth than breadth, the overwhelming feeling is of intensity and minerality, a savoury biscuity edge combines with a saline seriousness, there is almost a chew-able element to the wine. I can imagine taking time of this in a biggish glass, even decanting it. A seriousness…deeply impressive. 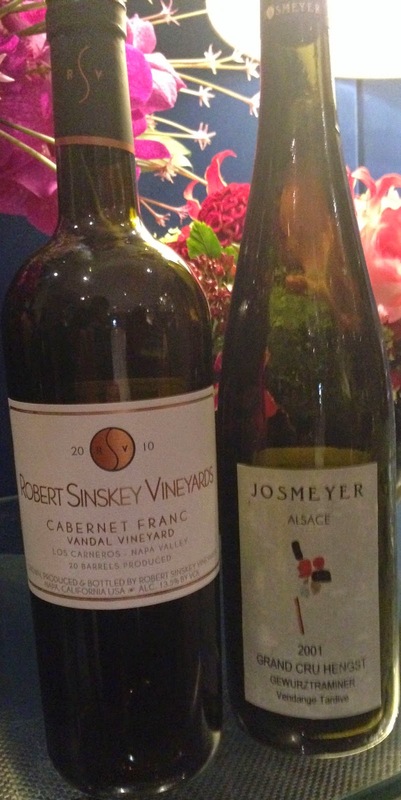 With some cheese we were onto a red, Robert Sinskey Cabernet Franc 2010. A totally new producer to me, I have to say I was impressed. A real dark chocolate freshness (not sure that this is possible but hopefully it means something) and a light alcohol made this a most drinkable and intriguing wine. Black fruits that somehow manage to have a floral lift about them. A quite brilliant pudding was accompanied by Gewürztraminer VT Grand Cru Hengst 2001, Josmeyer which showed well if a little lacking in “zip”, maturing and unctuous with generosity.